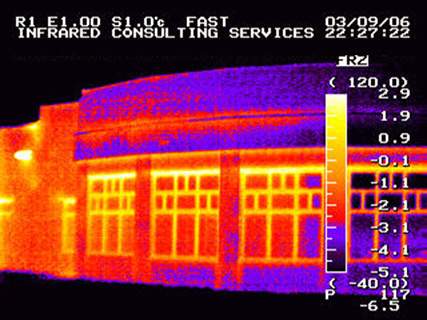 The infrared electrical systems survey is typically conducted on an annual basis as part of a regular preventive maintenance program. 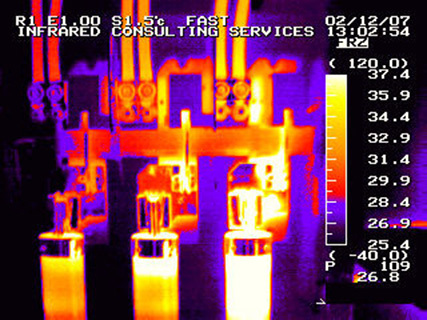 The infrared electrical testing allows for inspection of a large amount of electrical equipment in a short time as opposed to the alternative method of physically inspecting and tightening electrical components. 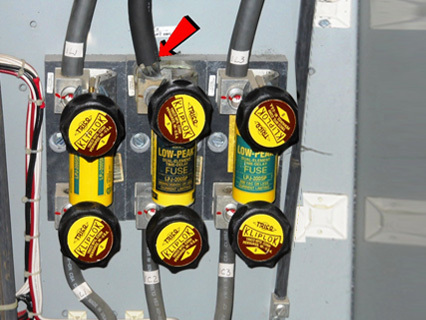 The infrared electrical systems survey locates faulty electrical items not generally found during a physical inspection. 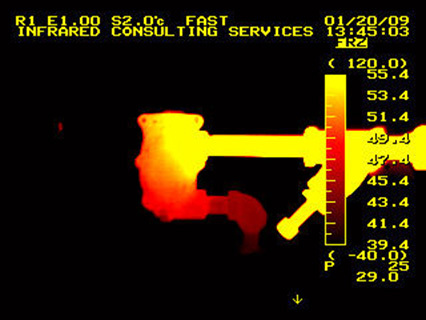 And because infrared thermography testing is non-contact and nondestructive testing (NDT), there is no need to interrupt system production. 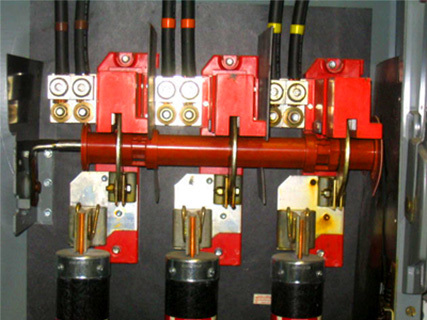 Our experienced ICS Thermographers inspect your electrical equipment under normal loads and operating conditions. 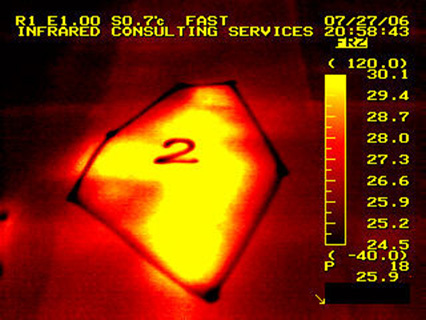 By performing an infrared scan of your electrical system in ‘real time’ our infrared electrical systems survey inspections can help you understand the practical impacts of emerging or existing electrical component problems. 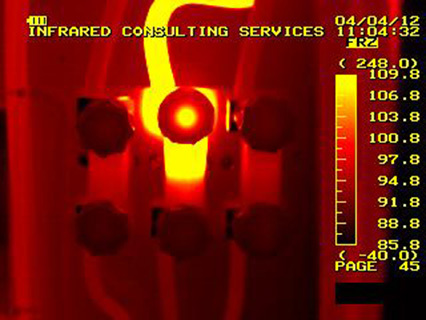 Infrared Thermogram locates loose, corroded center phase wire connection on motor starter. 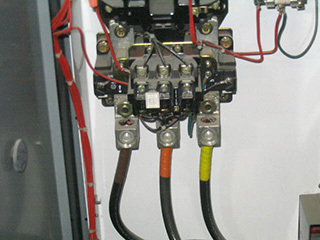 • Main electrical incoming services, transformers, capacitor banks, etc. 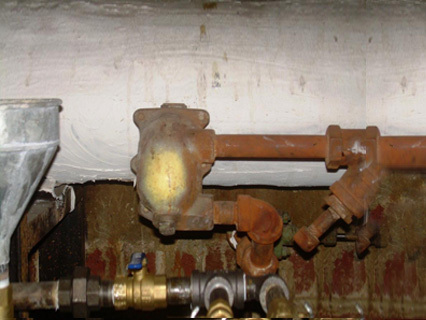 The ICS Infrared Electrical Inspection report is your “must-have” management tool which documents all electrical problems found and a complete condition inventory of all items inspected during the infrared electrical systems surveys or inspections. 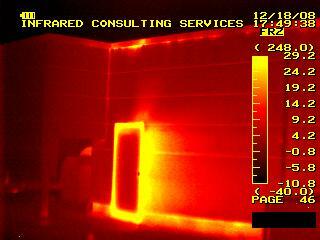 Thank you for your interest in ICS Infrared Consulting Services, Inc. We welcome your inquiry about infrared electrical systems surveys, infrared electrical inspection or infrared electrical testing services. 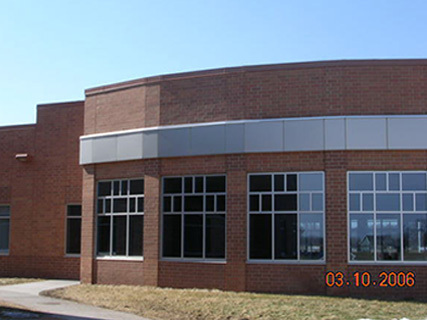 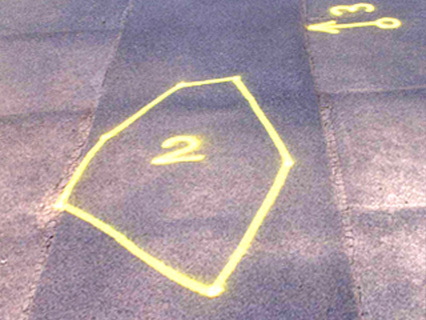 Please contact us directly by clicking here. 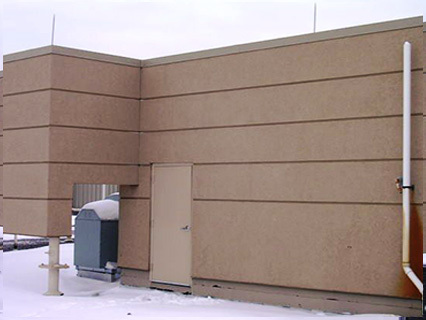 We serve customers nationwide. 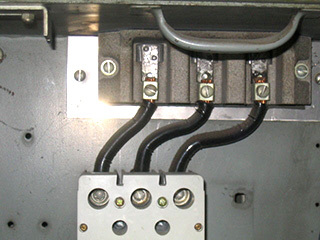 Infrared Thermogram locates 2 loose, corroded wire connections from main feed to main breaker in motor control center bucket.